For years Gmail has ruled the land of web-based email services, but slowly and surely Microsoft has been making Outlook.com a force to be reckoned with. 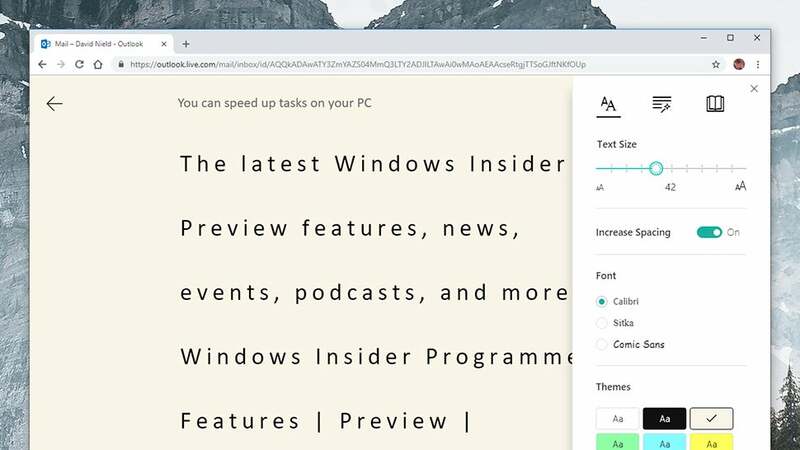 We’re not yet at the stage where we can confidently declare Outlook.com is superior to Gmail for your online email checking—but what we can say is here are nine cool tricks for Microsoft’s webmail service that Gmail can’t quite match. We’re going to focus on the free, Outlook.com web interface that’s available to everyone with a Microsoft account, rather than the desktop version of Outlook that comes as part of an Office purchase. And yes, we are aware there’s stuff Gmail can do that Outlook.com can’t, but that’ll have to wait for another time. Outlook.com lets you pin the most important emails to the top of the inbox—you just hover over the message, then click the pin icon. The same trick works in any subfolder, so you could have pinned emails for Work, Travel, Finance, or whatever folders you’ve made. Gmail has stars of course, and multi-coloured stars at that, making it simple to find important emails. However, while starred emails do stay on the Primary tab, they’re not kept at the top of the inbox or at the top of the label they’re assigned to for easy viewing. Who needs words anyway? 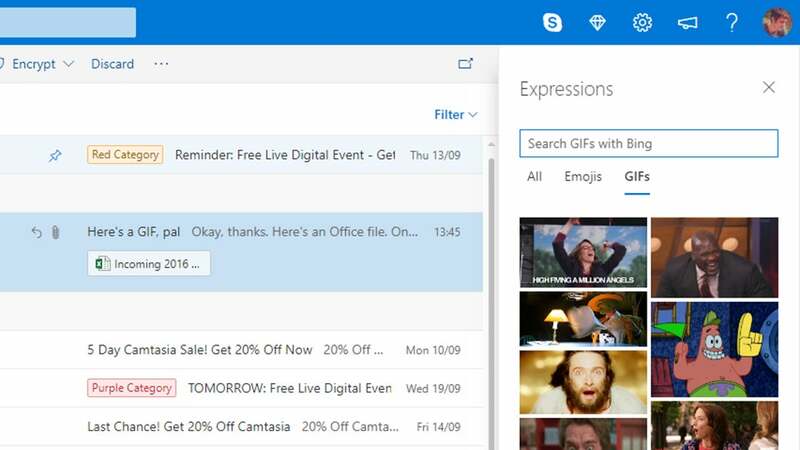 Outlook.com makes it super-easy to drop GIFs right into the body of your messages: From the compose window, click the emoji button, then switch to the GIFs tab and run a search. When you’ve found something suitable, click to insert it. Gmail lets you add GIFs into your outgoing messages too, but the process isn’t quite as simple—you have to get the animated image saved ready to upload, or drag it in from a browser tab or file window. There’s no integrated search and no single click to insert. Gmail helped to pioneer that conversation view that we all take for granted now (remember when email threads appeared as individual messages), but having copied the feature Outlook.com gives you an extra option: Seeing the newest messages at the top. Sure, Gmail collapses conversation threads so the newest message is always relatively easy to find, but it can still mean a lot of scrolling. In Outlook.com, click the cog icon (top right) then choose Newest messages on top under the Conversation view heading. Click on an email on Outlook.com and at the top you can choose Sweep to set up a quick rule based on this sender. Emails can be set to bypass the inbox, or to bypass the inbox after 10 days have passed—it works like a super-simple way of configuring an email filter. Filters are one of the best parts of Gmail too, and can also be created from individual emails, but they don’t offer all the features of Sweep: For example, Gmail isn’t able to automatically archive all but the most recent email from a particular sender for you. 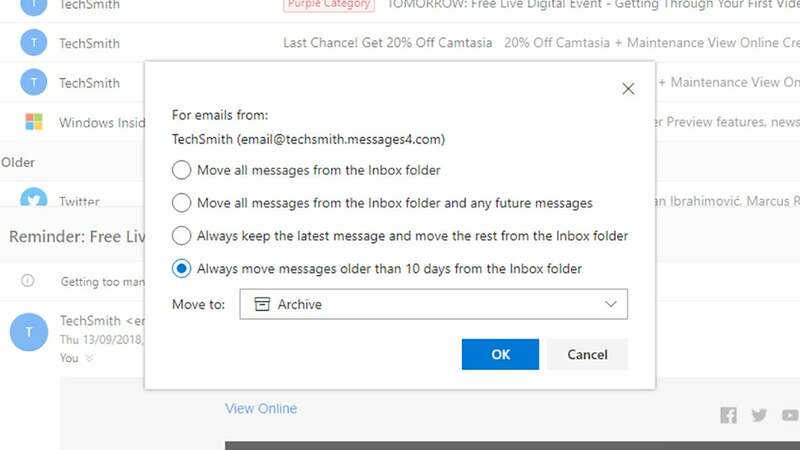 Want to see the biggest email in your Outlook.com inbox, or in a particular folder? Click the Filter button on the right, then choose Sort by, then Size. You can also get your emails grouped by sender in the folder you’re viewing—click Filter, then Sort by, then From. Gmail can help you find emails above or below a certain size, but it can’t sort messages by size, either in the inbox or across a particular label. It can’t group emails by sender either like Outlook.com is able to, though it can certainly return a search based on that criteria. Outlook.com has a rather fine-looking Dark Mode that you can enable by clicking on the cog icon (top right) then toggling the Dark Mode switch to On. You can “turn on the lights” on individual messages in your inbox by clicking on the sunshine icon above the header. You can get Gmail to go darker, but you need to head into the Themes section rather than flicking a switch, and the dark themes don’t affect the body of your emails, or the pop-up menus, or the compose window. 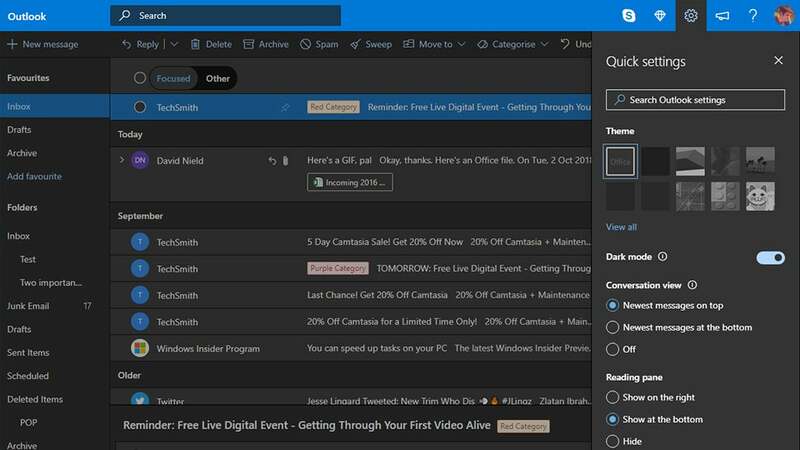 For now, Outlook.com works best for dark mode fans. As you would expect, Outlook.com handles Office attachments (Word, Excel, PowerPoint) very well indeed—files can be previewed and even edited inside the browser, with the linked email thread visible at the side, thanks to a little help from the Office Online suite. Maybe it’s not fair to mention this as Gmail integrates superbly well with its own Google Docs, Sheets, and Slides tools, but previews and edits can’t be carried out with the email thread still on screen for easy reference. For Office loyalists, Outlook.com wins out here. Outlook.com brings with it a rather nifty distraction-free view, like you might be used to from Instapaper or Pocket. Right-click on an email, pick Show in immersive reader, and everything but the text is stripped away—Outlook.com can even read the email out loud to you. You don’t really get anything quite like this in Gmail, though you can send emails full-screen if you don’t want your eye to wander over your other labels or incoming messages. It only really works for really long missives, but it’s a clever tool to have. Both Gmail and Outlook.com support add-ons from third parties, but Microsoft’s email platform has a lot more of them, maybe due to Outlook’s longevity. Click the down arrow symbol in the compose window then Get Add-ins to see what’s available to install. We counted more than 200 before we got eye strain, including plug-ins from Trello, Dropbox, Boomerang and Yelp, and the list goes way further. Gmail (click the cog icon then Get add-ons), by comparison, only has 68 official plug-ins at the time of writing.